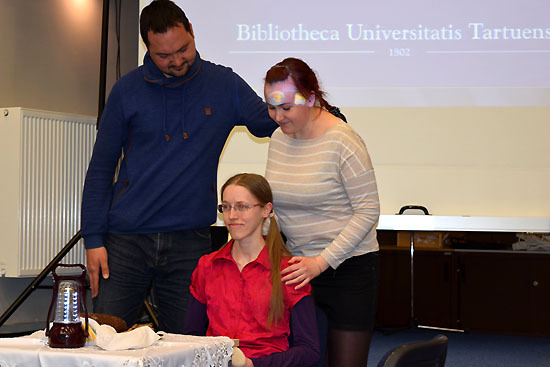 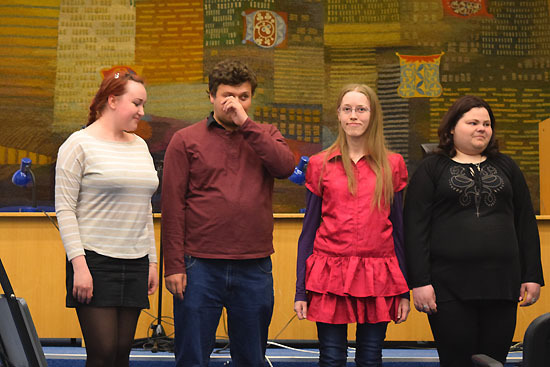 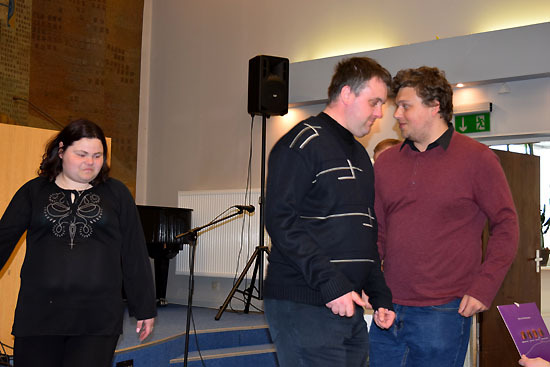 Bread on our table ... – a play by the Drama Club of the Eastern Estonian Chamber of Disabled People, supervised by Raili Tamm. 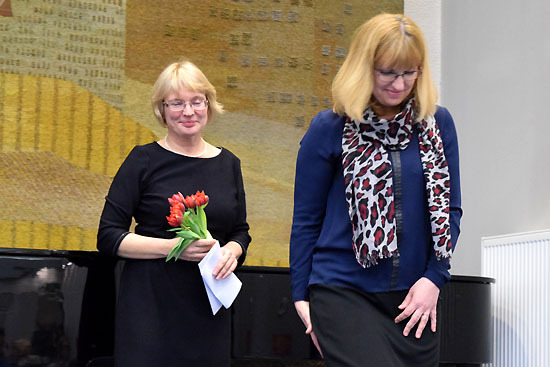 In 2016, the Parkinson’s Day was celebrated in Estonia the 20th time, the tradition was started in April 1997. 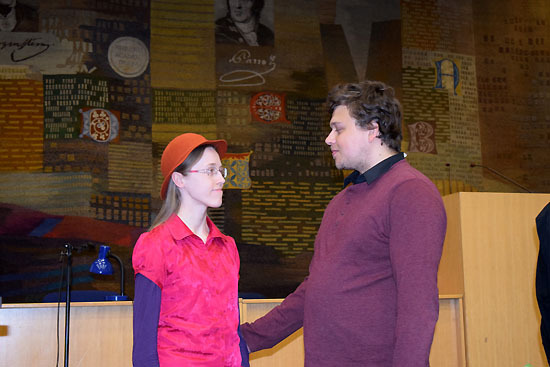 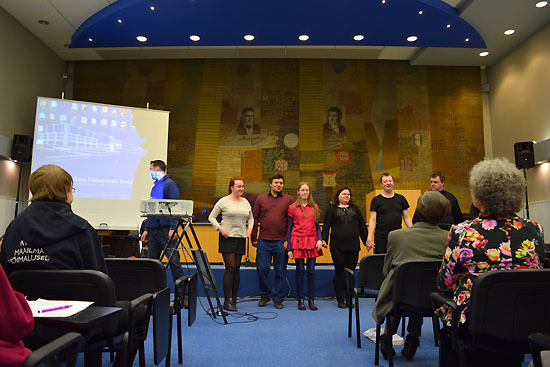 The meetings have been organised in collaboration of the Estonian Parkinson’s Association, Tartu Parkinson’s Disease Society, and the Estonian Movement Disorders Society. 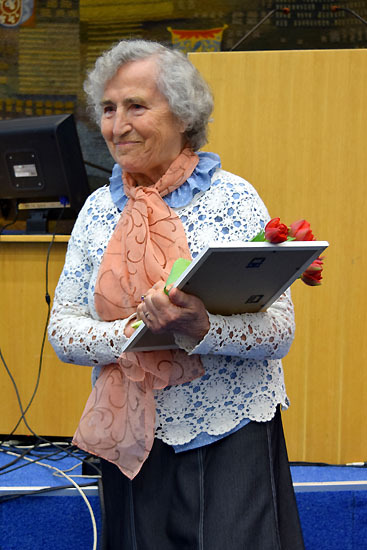 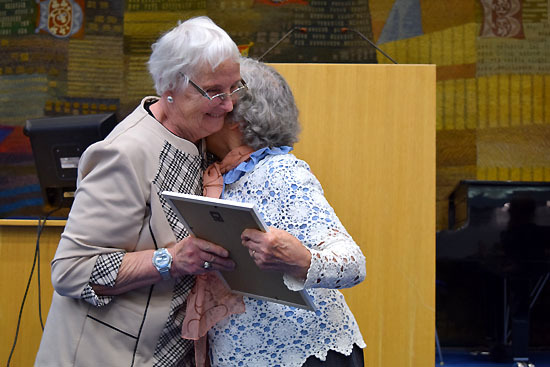 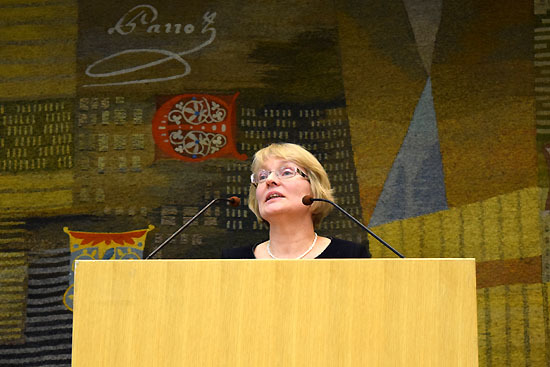 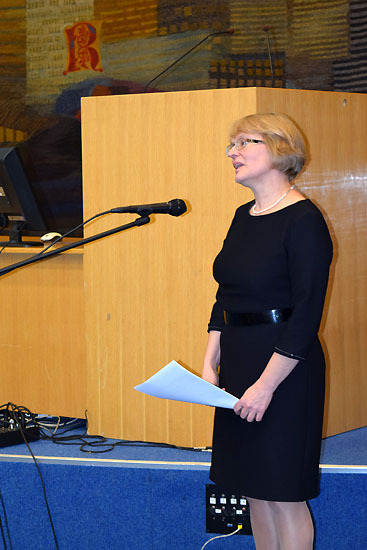 Professor Pille Taba, President of the Estonian Movement Disorders Society, has pointed out in her intorduction: “Our main purpose is to deliver high-quality care of the patients, to improve patients´quality of life. 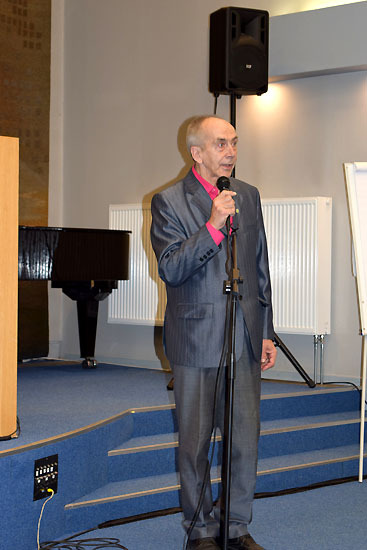 It is important to develop the patient centered management, to provide information to patients and their family members.” Eero Kaalep, Chair of the Estonian Parkinson´s Association, welcomed audience and empahazised a good will to collaborate with the best movement disease specialists and patients´organisations with a hope that in future, Parkinson’s disease will be treatable. 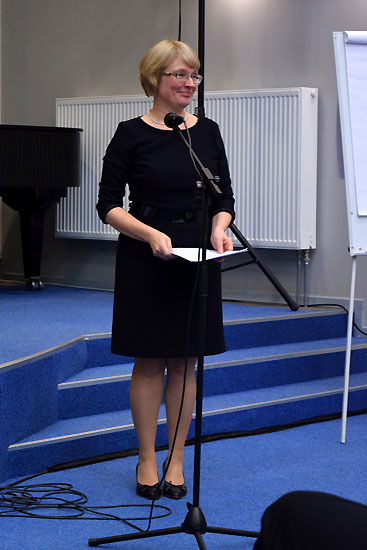 The first speaker was Dr Tiina Tammik, Head of Rehabilitation Centre of Põlva Hospital, an initiator of Parkinson’s rehabilitation programs during several years in her departement. 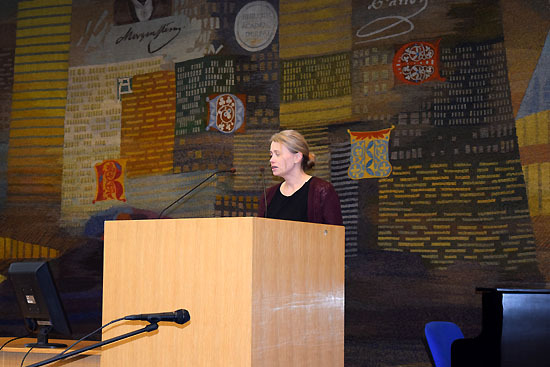 She told on availabilities and options of rehabilitation in our country, and about further developments. 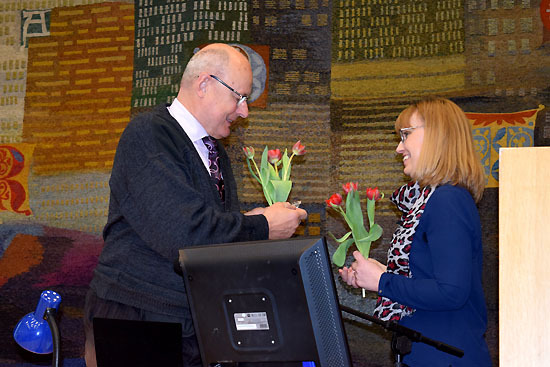 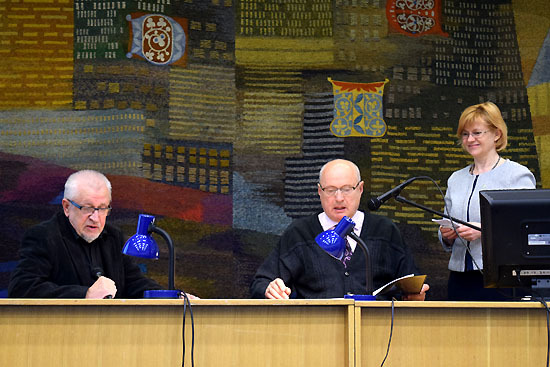 Though antiparkinsonian medication is fully reimbursed in Estonia, rehabilitation of chronic diseases is reimbursed only partly by the Health Insurance Fund that restricts its availability for people with Parkinson´s disease. 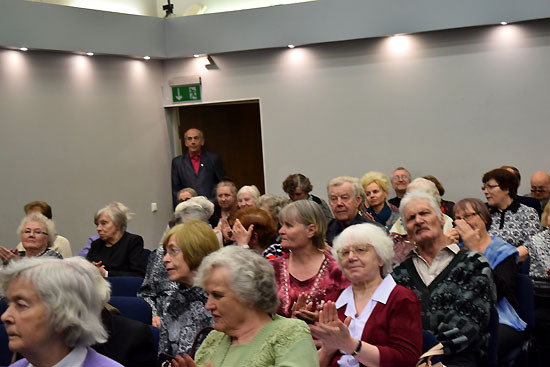 In forthcomin years new projects are developed with involvement of social funds, to give more possibilities for rehabilitation to patients. 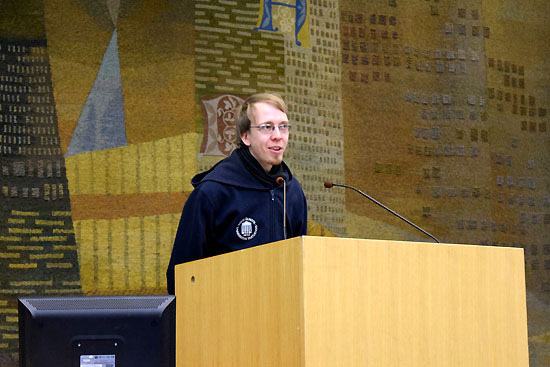 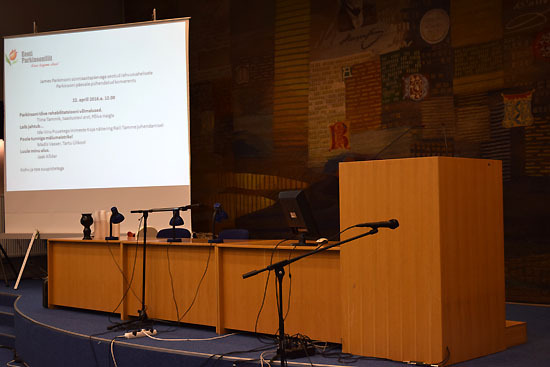 The second speaker was Madis Vasser, psychologist from the Virtual Neuroscience Lab of the University of Tartu, who has given an overview of the techniques for training of memory and remembering important things including an example training for the audience. 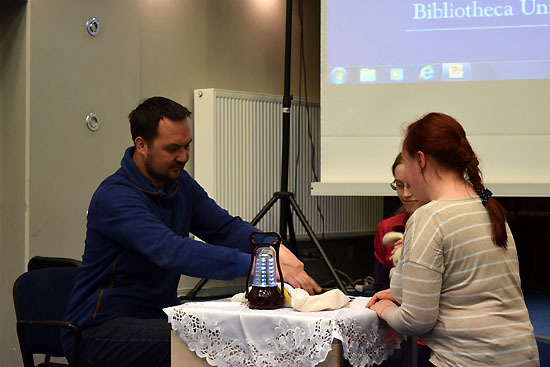 Participants of the meeting enjoyed the lecture and took part in the training activley. 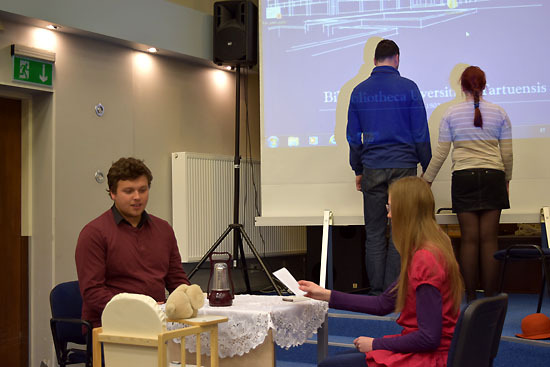 Keep a life and care yourself..."
At the end of the meeting, a performance was presented by the Drama Club of the Eastern Estonian Chamber of Disabled People - a musical composition „Bread on the table“, on a human story how children grow up and leave home, and sometime return, still bread waiting on the table. 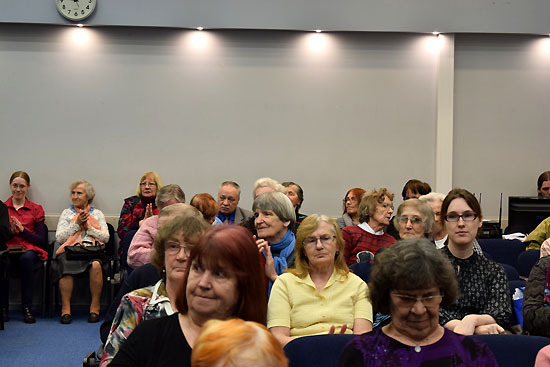 There were about 120 participants in the meeting – people with Parkinsn’s disease, their friends and family members, and medical profeesionasl. 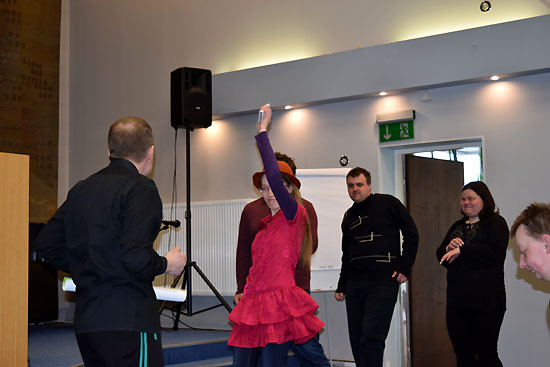 Everybody enjoyed the day very much.